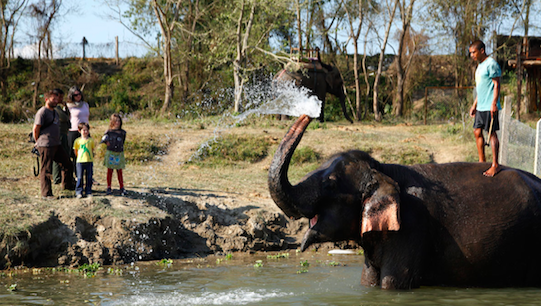 Have an amazing time with your Friends & Family in Chitwan. Catch a glimpse of fascinating wildlife including one-horned rhinoceros, Royal Bengal Tiger, deer as well as various species of birds and aquatic animals. One can also enjoy the scenic view of Rapti River. Experience culture and lifestyle of local indigenous communities. Meals full board: Breakfast, Llunch and Dinner, Featuring Continental,Chinese, Indian and Nepalese Cuisine. 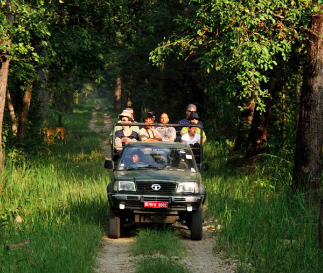 Excursions led by experienced naturalists and tour guides: National Park Entry Fee,Elephant Safari,Nature Walk,Bird Watching,Slide Show,Canoeing,Tharu/Darai Village Tour,Crocodile(Gharial)Conservation Project Tour, Bathing with Elephant(Seasonal),Indigenous Cultural Dance and Song Performances, Service Charges & VAT. Arrival & Departure transfers to & from the Hotel. All kinds of drinks (hot, cold and alcoholic). 10% service charge would be extra. Surprise your Valentine with a gateway to romantic Chitwan, where our Valentine’s Day package has been designed to inspire romance, without damaging your wallet too deep. 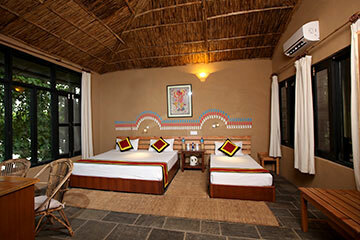 You will take a short scenic flight to Chitwan and check in at luxurious hotel at the Meghauli, where the plush accommodations and casual sophistication offer more than enough reasons to unwind and inspire romance. Enjoy the full Jungle Activities which is led by experienced naturalists and tour guide. Which includes Elephant Safari,Nature Walk,Bird Watching,Slide Show,Canoeing,Tharu/Darai Village Tour,Crocodile(Gharial)Conservation Project Tour, Bathing with Elephant(Seasonal),Indigenous Cultural Dance and Song Performances. Fly to Chitwan, which will take approximately 25 minutes. Upon reaching at the National Park, you will be transferred to the Lodge. Briefing on the jungle activities and facilities applicable at the Lodge.